upon Gaza; Ashkelon is cut off with the remnant of their valley: how long wilt thou cut thyself? How can it be quiet, seeing the LORD hath given it a charge against Ashkelon, and against the sea shore? there hath he appointed it. NEW PREDICTION: 11/27/08, PRESENTATION POSTED: 5/13/09: At first glance it might appear that the war in Gaza of December 2008/January 2009 was the fulfilment of the above prophecy of Jeremiah, until we realise that this war is far more wide-reaching in scope since it also includes the whole of Lebanon and has Egypt fighting alongside Israel against Hamas and Hezbollah. Clearly this is what the war in Gaza could have escalated into. One might even say the war in Gaza and Lebanon that occurred in July 2006 came very close to this also, but not quite where Egypt's role was concerned. If Jeremiah's prophecies are followed sequentially from this point, we fairly quickly arrive at a point where Jordan is attacked and largely destroyed by an Iraqi leader allied to Iran and a war is fought between Israel and Syria culminating in the nuclear destruction of Damascus and other Syrian cities. And it gets even worse as we progress through Jeremiah's prophecies. The above event has a base 7 dating of March/April 2009, which has passed, but it would be foolish to think that it cannot happen at any time this spring or summer. If it does, it would mark a renewal of the war in Gaza and the beginning of World War III in the Middle East. 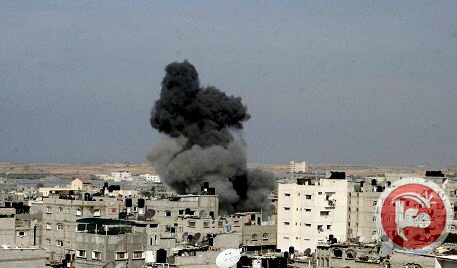 Israeli airstrikes hit Gaza for a 4th day - March 12, 2012. 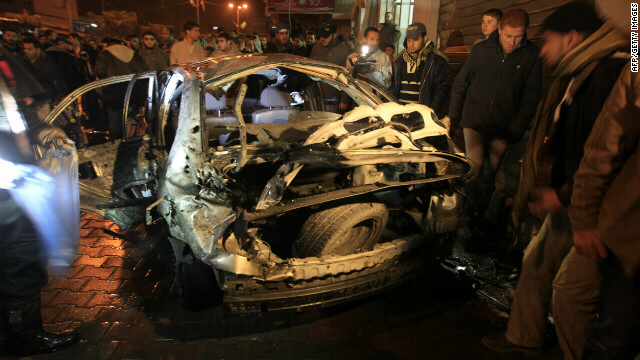 Casualties mount in attacks between Gaza, Israel - March 11, 2012. Israel airstrikes target Gaza, killing at least 16 - March 11, 2012. 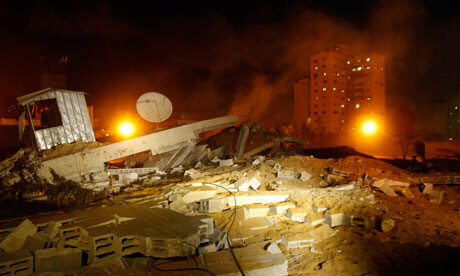 Israel launches deadly air strikes on Gaza - March 9, 2012. Israel raids south Gaza after rocket attacks - February 26, 2012. Israeli air strikes hit Gaza, two wounded - February 24, 2012. Israeli air strikes hit Gaza Strip - January 24, 2012. Israeli Strike Kills 2 in Gaza - January 18, 2012. 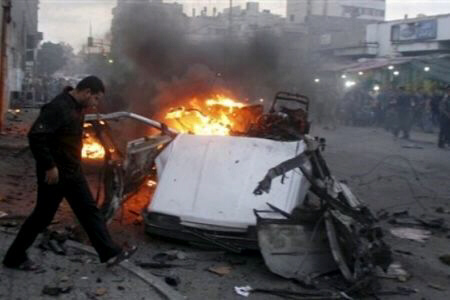 Sources: Israeli airstrike kills 1 in northern Gaza - December 30, 2011. 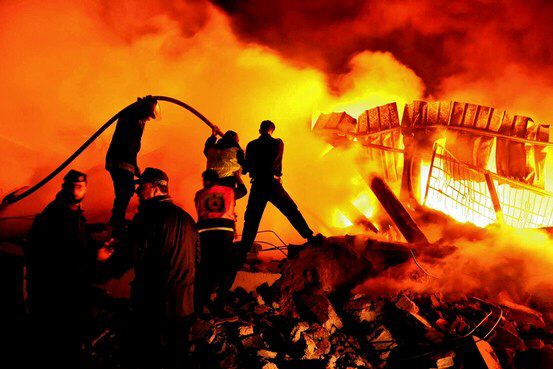 Gaza rocket hits Israel after overnight Israeli air strikes - December 29, 2011. Israel targets suspected militants in Gaza - December 28, 2011. One dead, 10 wounded in Israel strikes on Gaza: Palestinians - December 27, 2011. Gaza father, daughter hurt in Israeli raid: medics - December 11, 2011. Rockets hit Israel after fighting flares in Gaza - December 9, 2011. Rockets from Lebanon mar uneasy peace with Israel - November 30, 2011. Israel claims rocket attack from Lebanon - November 29, 2011. Israeli air raids kill Gaza militant - November 6, 2011. Israel: Army has green light to stop Gaza rockets - November 1, 2011. Israel retaliates after rocket launches from Gaza - September 30, 2011. Israel -- Gaza Border: A State of War - August 31, 2011. Israeli warplanes strike Gaza - August 25, 2011. 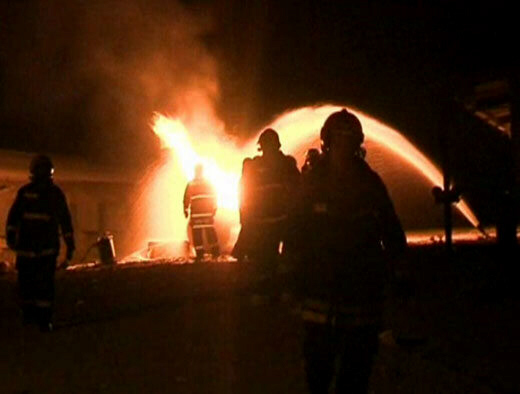 Ceasefire breached again as 7 rockets hit south; IDF retaliates - August 24, 2011. Sinai: Women hurt by rocket fired from Gaza - August 24, 2011. Rockets kill 1 in Israel; Hamas military wing ends truce - August 20, 2011. Continuous Palestinian blitz after Israel bombs 12 terrorist targets in Gaza - August 19, 2011. Israeli airstrikes target Gaza after multiple attacks - August 19, 2011. 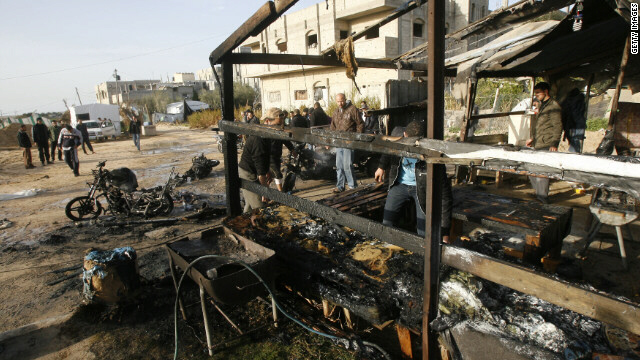 Gaza-Israel violence rages on as 4 militants killed - April 9, 2011. Gaza rocket threat forces fans from two games in Israel - April 9, 2011. Fighting flares in Gaza, shattering lull - April 7, 2011. Iron Dome intercepts first rocket -- Ashkelon residents report seeing Grad explode in midair as dozens of rockets fired at south - April 7, 2011. Israeli air strikes wound 19 in Gaza -- Seven Palestinian children among those hurt in raids retaliating against Hamas rocket attacks - March 21, 2011. 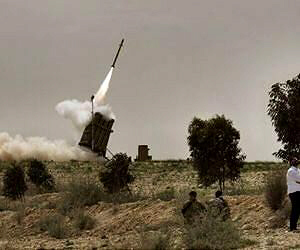 Gazans fire 2 rockets; 2 militants killed in clash -- More than 50 mortar shells fired into Israel yesterday - March 20, 2011. 'They're out to destroy us': Israel hits back after Palestinians unleash heaviest rocket attack for two years - March 19, 2011. Grad rockets fired at Be'er Sheva for first time since Gaza war - February 23, 2011. 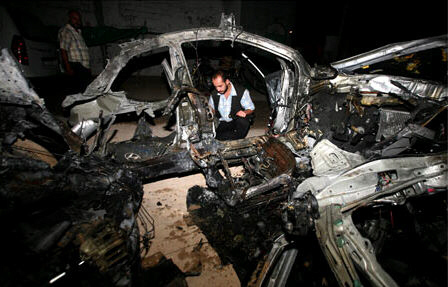 Hamas: 1 person injured in Israeli airstrike on Gaza - December 25, 2010. Tensions mount on Gaza border after increase in rocket attacks - December 23, 2010. Iranian Guards to upgrade Hizballah fortifications in Lebanon - December 23, 2010. Report sees Israel reoccupying Gaza, 'substantial' parts of Lebanon in next war - September 17, 2010. Egypt seeks rocket trucks suspected of involvement with rocket salvo on Eilat and Aqaba -- Report: Cairo scours Sinai; raises security alert to highest level - August 5, 2010. Israel threatens to retaliate against attacks on three fronts - August 4, 2010. Tensions rise as deadly border clash erupts between Israel, Lebanon - August 4, 2010. 'Terrorists want to thwart peace' -- PM phones Abdullah, Mubarak about rocket attacks on Aqaba, Eilat - August 2, 2010. Israeli airstrikes hit Gaza City - July 30, 2010. Tensions on edge as Lebanon awaits word of war - July 24, 2010. Possible Israeli attack against Lebanon this autumn - July 24, 2010. 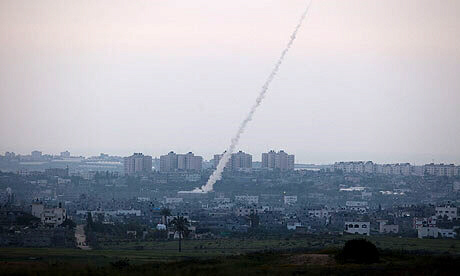 Gaza militants may be firing a new type of rocket into Israel, police say - July 24, 2010. Hizballah advances 20,000 troops to Israeli border - July 11, 2010. Israel bombs 'terror tunnels' in Gaza - June 25, 2010. Israel, Turkey, Gaza in covert sea war; Hamas frogmen thwarted - June 7, 2010. 10 dead as Israeli forces storm Gaza aid convoy - May 31, 2010. 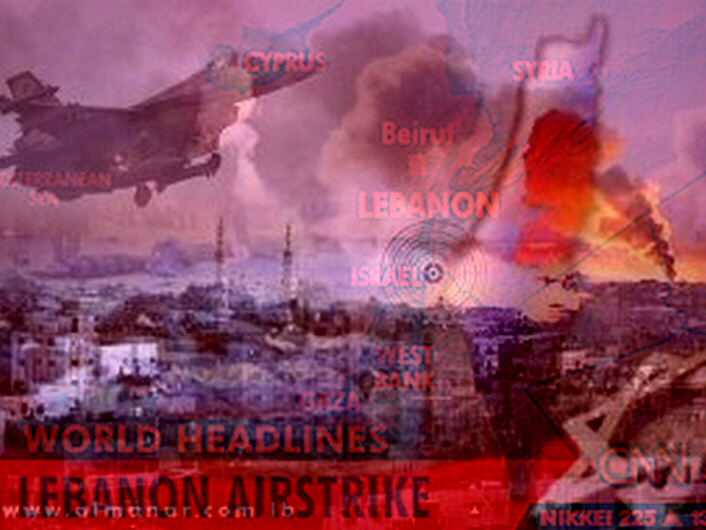 State media: Lebanon fires on Israeli warplanes - May 27, 2010. Airstrikes wound 17 in Gaza - May 26, 2010. Israel war drill raises Mideast tensions - May 25, 2010. Israel says Hezbollah missile buildup accelerating - May 4, 2010. New al Qaeda Levant chief plans fresh assaults from Gaza, Lebanon - April 6, 2010. Israel launches air strikes on Gaza - April 1, 2010. Israeli minister talks of new war on Gaza - March 28, 2010. Some leave Gaza town as Israeli tanks enter area - March 27, 2010. Hamas gunmen fire on Israeli troops - March 26, 2010. Two IDF soldiers killed in Gaza clashes - March 26, 2010. Israeli airstrike on Gaza injures four Palestinians - March 23, 2010. Israel troops, Palestinians clash at Gaza: Reports - March 23, 2010. At least 12 hurt in Gaza airstrikes, Hamas says - March 20, 2010. Air Force strikes in Gaza - March 19, 2010. Israeli fighter jets pound Gaza Strip - March 18, 2010. 'Hezbollah prepared for any surprise from Israel' - February 22, 2010. Lebanon says fired on Israeli jets -- Lebanese army says it used anti-aircraft fire to force four warplanes out of airspace over Bekaa Valley - February 14, 2010. A devastating war between Israel & Hezbollah is on the horizon - February 8, 2010. Obama aide says Iran may lash out at Israel via Hezbollah and Hamas - January 29, 2010. Tensions On Northern Border - January 28, 2010. 'Attack on Hezbollah is attack on Lebanon' - January 28, 2010. Israel sees war with Lebanese Army as well as with Hizbullah - January 27, 2010. Israeli minister: Third war on Lebanon in sight - January 23, 2010. Hariri warns of another Israeli attack on Lebanon - January 21, 2010. Home Front Command bracing for missiles in Tel Aviv - December 9, 2009. 5 mortars hit Negev region; no injuries - November 26, 2009. Barak: Israel to target Lebanon if Hezbollah escalates tension - November 24, 2009. Israel fires at Gaza, says weapons facilities hit - November 22, 2009. IDF Chief: Israel will fight in Gaza again if needed - November 13, 2009. Hamas warns of another Israeli assault on Gaza - November 12, 2009. Sayyed Nasrallah to Israelis: Send Your Whole Army, We'll Destroy Them! - November 11, 2009. Israel: Gaza rockets can reach metro Tel Aviv - November 3, 2009. Lebanon warns UN: Israel planning to attack us - October 30, 2009. 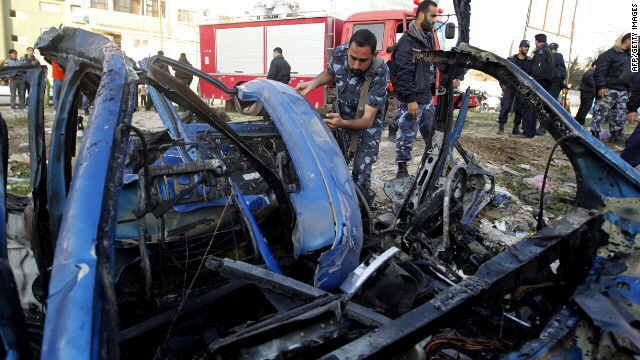 Israeli rockets hit southern Lebanon: Report - October 27, 2009. Katyusha Rocket Hits Galilee - October 27, 2009. Israel increasing military build-up near Lebanon - October 25, 2009. '7 Gazans hurt by IDF fire on border' - October 6, 2009. Qassam hits southern Israel in continuing Gaza border tension - October 2, 2009. Islamic Jihad Retaliates, Fighters Fire Qassams at Israel - September 26, 2009. Gaza militants vow revenge for deadly Israeli raid - September 26, 2009. Israeli Airstrike Kills 3 Fighters in Gaza -- Military Says Islamic Jihad Members Were About to Fire Rockets Across Border - September 26, 2009. 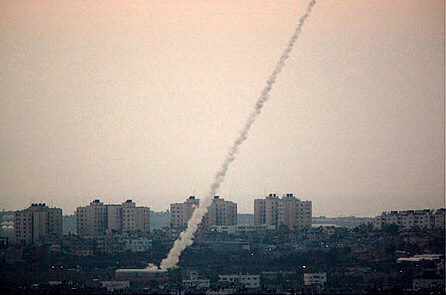 Israelis awakened to red alert when two rockets fired at Sderot overnight - September 20, 2009. Israeli PM blames Lebanese gov't for rocket attacks at north -- Netanyahu vows, "We will retaliate to every rocket fired at Israel" - September 13, 2009. Israel Shells Lebanese Village After Rockets Fired - September 11, 2009. Netanyahu warns Lebanon against aggression - August 10, 2009. Barak hints at another war with Lebanon-- Israeli Defense Minister says the war would be more devastating than the 2006 war - August 7, 2009. US Issues "Last" Warning To Israel As Thousands Of American Troops Pour Into Egypt - July 9, 2009.